The night before the 2,000 Guineas at Newmarket sees the great and the good of the horse-racing community gathered for a prestigious black-tie Gala dinner. It is a fitting testament to the glamour of the occasion that top chef Max Moreton is cooking the evening�s meal. Max is something of a celebrity in Newmarket circles. He is founder of the racing town�s favourite Michelin-starred restaurant, the Hay Net. However, spending the night retching in the throes of agony is the last thing Max expects. But much worse is to come...his food is suspected of putting twenty-four of the dinner guests in hospital. Max�s pride and professionalism tells him all is not as it seems. 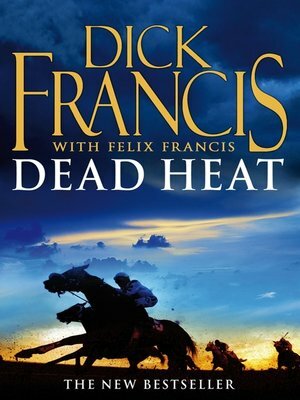 Dead Heat is the latest searing, intrigue-filled blockbuster from the Grand Master of thriller writing.